When he was in high school, Steve Sharp was very active. He played football in Galveston, ran marathons during the off season, and went for long bike rides on his 10-speed. Then for the next 40 years, he was a cigarette smoker and gained a lot of weight. It was hard for him to bend down and even put on socks because of his “big old belly”, which was a “pain in the you know what”. Steve decided to do something about it, and took charge of his health. Today (November 6, 2017) marks his 5-year anniversary of being clean and sober, and his lungs are now strong enough to sing in his church choir! He joined Walk with a Doc about a year ago and has lost over 20 pounds simply by walking. He walks his border collie a few times a day, and walks every Saturday with Dr. Helfand. He’s even starting to get back into biking, and often rides down the street to the grocery store. 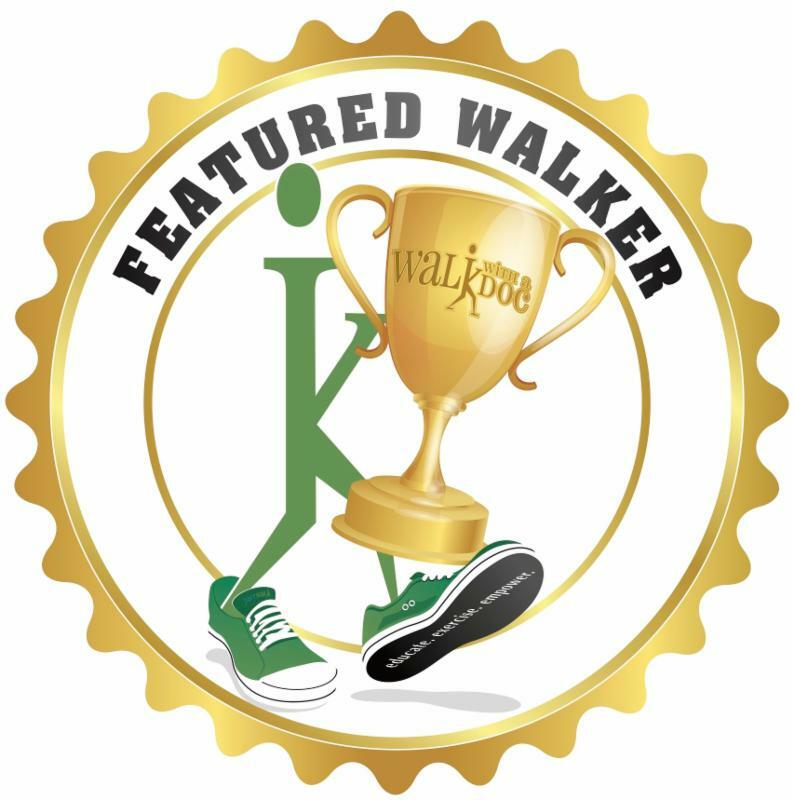 He says the best part about Walk with a Doc is the camaraderie of other walkers who have become his “good ole’ friends”. They know each other’s personal lives, and they are there for each other whenever someone is having a hard time. He recently had a carotid subclavian bypass surgery, and Dr. Helfand came to visit him in the hospital. He hopes the surgery loosens up his stiff neck so he can get back to petting all the dogs that attend their Walk! Although he loves to talk and socialize, he goes there to improve his health. His WWAD friends keep him accountable and disciplined. They count on each other, and motivate each other. At 62 years old, Steve tries to reach a little higher every single Saturday. Walking has motivated him to change his life, and other parts of his health as well. Steve says the Lord has really turned his life around, and he wants to encourage others. Congratulations Steve! 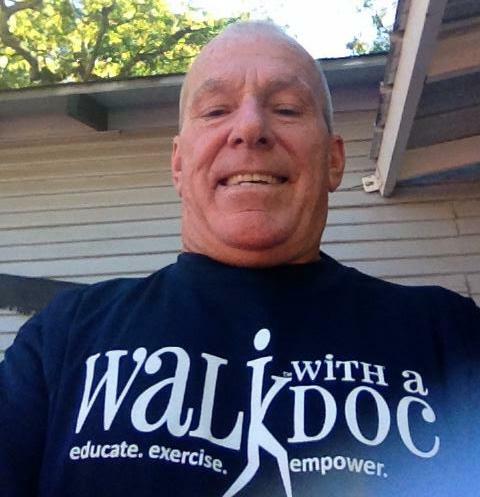 The Walk with a Doc community applauds you!